"The reflections and rocky shore set the pace for this painting, 'Shoreline Procession.' 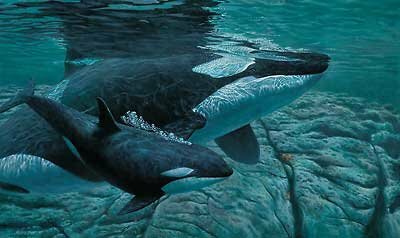 I wanted to capture the size of an adult, along with the clone-knit bond between the mother and calf, which I have observed while researching these awesome animals." Image size, 17" x 28".